The book celebrates the beauty of life and love. 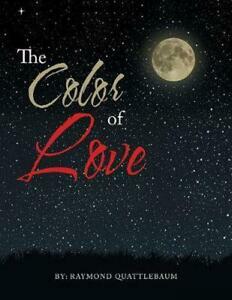 Reviewed by Publishers Weekly as one of the best books to read for 2018, Raymond Quattlebaum’s “The Color of Love” celebrates solely the beauty surrounding humans. In this book, the reader is set to turn every page faster than the last because of its beautiful content and reminder that every day one must push to become the best versions of themselves and continue to strive and not give up on the things that life has to offer. Despite the fact that people are continuously faced with struggles, they must always remember that life is beautiful and the Saviour is looking down on them waiting for the people to welcome Him into their lives. This book will inspire the reader and have a positive outlook in life. Need a little push? Check the shelves on April 13–14, 2019 for “The Color of Love” by Raymond Quattlebaum at the 2019 LA Times Festival of Books!